Next story in The Debates Can John McCain still win? 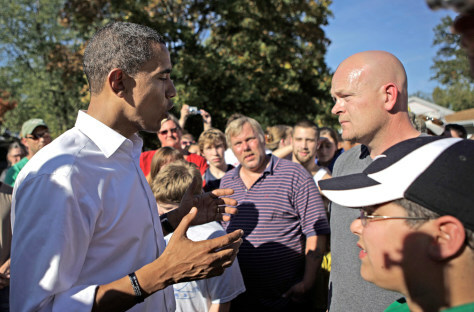 Sen. Barack Obama talks to plumber Joe Wurzelbacher in Holland, Ohio, on Sunday. Wurzelbacher's economic concerns became a central topic in Wednesday night's presidential debate.